Rise of the #Boss Mom – BOSSY. 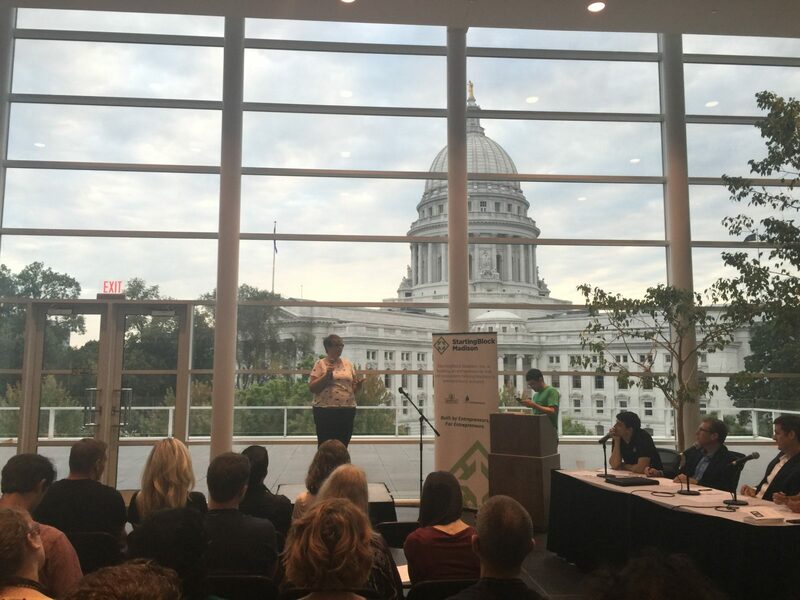 I met Allison Martinson through the Madison Women in Tech, and was struck by the way she filled every room with energy and enthusiasm, always encouraging the other women around her. She’s a great example of a Boss Mom, and she’s proud of being one of the tribe. Here, she shares her thoughts and experiences in becoming and owning her bossy. Before I became a mother, I had an active life in public service. In addition to my full time job as an educator for a nationally ranked non-profit organization, I served on the education committee for my local conservancy and periodically assisted with charity events for a food advocacy group. I was an active member for a handful of membership groups and kept busy three nights a week with my many commitments. I expected, when my daughter was born, that a lot of those commitments would need to be put on hold. For the first year of her life, I slowly backed out of my volunteer roles, citing an increasing need to spend time with my family. I let memberships lapse. I communicated with friends online instead of in-person. I stayed home every night, long after my husband resumed his weekly trip to the game shop for D&D. Occasionally, I would mention in passing to my boss, a mother of two, that I was interested in volunteering again, interested in networking opportunities for work, curious about pursuing professional development to increase my leadership abilities at work. She’d chide me with “Remember, you have a baby now. You don’t want to take on too much.” She’d remind me of her own inner monologue. She wanted to volunteer and be active in her community too, but she had to wait until her kids were “old enough.” I got the impression that I had to wait too. I had to wait until my kid was “old enough” to get back out to my life of community service. My husband is perfectly capable of staying home with our kid while I go out and save the world. He’s happy to do it. For all of our kid’s one year of life, he’s encouraged me to get back into the things I love, to return to volunteering, to take on a new committee role. It is only with other women, other mothers, that this undercurrent of motherly duty seems to exist. Working moms, in particular, bear the brunt of concern that you might not be spending enough time with your kids. You already spend 37 hours at the office. You need to spend the rest of your time driving kids to baseball practice, after-school activities, engineering class and 4-H. I would have continued feeling this working mom guilt if it hadn’t been for a random meeting with a woman that would change my perspective on the ideal working mom. 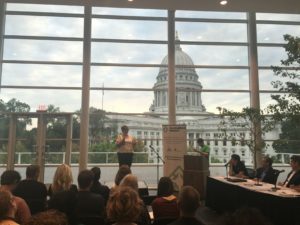 She rushed into a morning networking breakfast, toting two kids under 5, asking if anyone lived in her district because she was running for city council. While we gabbed about the intricacies of running for office, working full time, and caring for two kids, her one year old daughter banged forks on the table and her four year old son poked at his fruit bowl. Before I met E, #BossMom, I was having difficulty finding the place where Mom ended and I began. Mom had to leave her daughter at daycare every day. Mom had to go to work. Mom had to pick up her daughter on the way home. Mom had to make dinner, find time to play and sing and change diapers. Momhad to remind Dad that she loved him. E did those things too — with finesse. Frenetic, mindful, full of glee. Purposeful, driven, committed to the causes that matter to her. Wife, mom, public servant and Wonder Woman — she made me want to succeed. I don’t tell my boss about my plans now — to run for public office, to take a place on a community board, to hire a sitter so I can network more, and to take on a new role as an entrepreneur. I don’t need to be reminded that I’m Mom. I’ll never forget it. Each step I take to further my career, my leadership development, and my commitment to my community is a step I take for my kid. As she “gets older,” she’ll see that her mother is more than just Mom. She’s #BossMom and she’s a badass. Printed with permission from Medium. What should I say about my salary requirement in a job application?